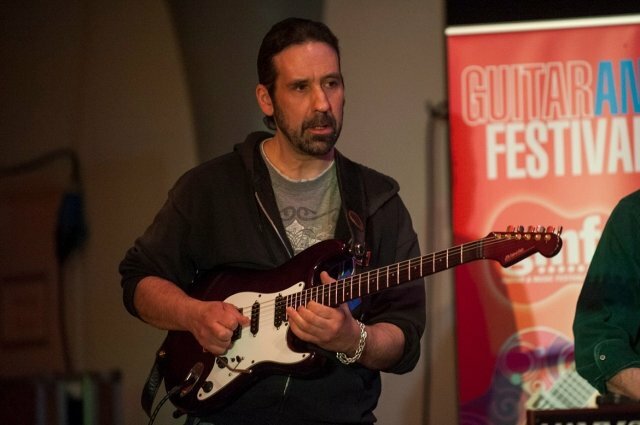 I am a UK based professional guitarist and music educator and I have been active as a performing musician/clinician and teacher since the early 1980‘s. I have taught literally hundreds of guitar players over the last 25 years and many have gone on to successful careers in the music industry. My most recently held music education positions were as the Assistant Head of Music and Head of Jazz Studies at Leeds College of Music in the UK where I worked until 2010. I also coordinated the Guitar & Bass department at the College for several years and was a Principal Lecturer in Jazz and Popular Music Studies. I currently teach guitar and lecture in music on a freelance basis and in the last two years have held positions with Leeds Metropolitan University, The Malsis School, Manor CoE School, Calderdale Music Services amongst others. 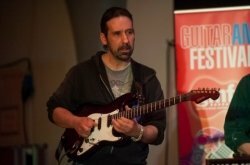 Music education is a life-long passion for me and having spent over 20 years lecturing in guitar studies, harmony and jazz improvisation at one of the UK’s leading conservatoires and performing/recording professionally for nearly 30 years, I am now building on that experience by offering high-quality music tuition.